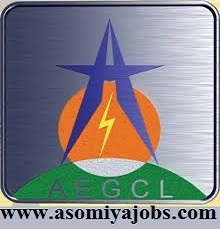 Assam Electricity Grid Corporation Limited, a vibrant growth oriented Public Sector Company registered under ‘Company Act, 1956’. It was formed out of restructured Assam State Electricity Board in 2003 and was notified as the State Transmission Utility (STU). Its core business is to efficiently transport electrical power from electrical power bulk heads to the distribution company networks in the state of Assam. Two years full time degree in MBA/PGDM, specialization in Human Resource Management /Personnel Management & Industrial Relation/Labour Relations etc. from an AICTE approved Institute / University with 1st class or minimum 60 % marks. Degree in law from a recognized university approved by UGC, will be considered as added qualification. Full time/part time degree in MBA/PGDM, having core subjects of Human Resource management / Personnel Management & Industrial Relation/Performance Management etc. from an AICTE approved Institute / University with minimum 55 % marks. Candidate should possess a degree from a recognised university and should be a Chartered Accountant or a Cost Accountant. Last Date: Before 04:00 pm 28/12/2018.